web development tutorials, cakephp tutorials, opencart tutorials, php tutorials. What is Password Strength? In general you can say that it's a measurement of how effective a password is.I mean how its difficult for anyone to guess it and brute-force attacks.In general the strength of a password is depended on its length, unpredictability, and complexity. You might have seen the password strength checker while filling any online form like Gmail Registration Form.Right hand side of the password field you can see the indicator of its strength. Some very complex algorithms are used to measure the strength of the password. Of course,i am not going to teach you that algorithm, but i’ll teach you how to make such password strength checker using jQuery. On the basis of the checks mentioned above,strength of the password will be calculated.Here,for better indication , different background colors are used for different results like very week,strong,very strong. etc,. Download the demo and use it wherever you want.. 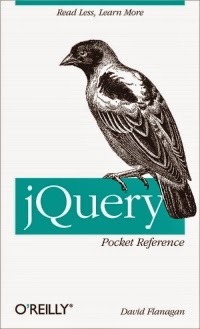 If you want to know more about jQuery , then this book will provide knowledge on Everything You Need to Know About jQuery. I have developed a wide range of websites using CorePHP, Opencart, CakePHP and CodeIgniter including sites for startup companies and small businesses. Apart from my blogging life, I like to read Novels, Listening music and Net surfing.